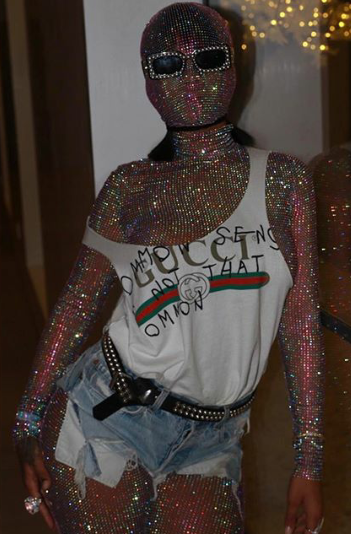 I think it's safe to say that Rihanna officially WON Coachella style this year. She rocked a head-to-toe Gucci crystal bodysuit straight off of the runway, paired with an oversized Gucci tank and a pair of destroyed denim cut offs. I'm not a huge fan of typical festival style. Y'know granola swag, crochet maxis, fringe and appropriative headwear are just not my jam. Based on RiRi's Coachella garb at festivals present and past, it seems we're on the same page. 2017: Gucci Glam, meets streetwear, meets Charlie's Green Man costume from It's Always Sunny in Philadelpia. 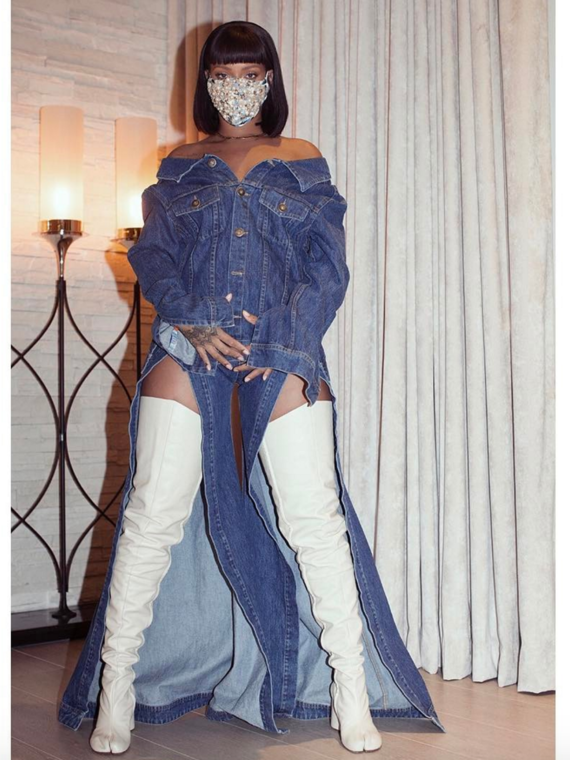 2017: A Canadian tuxedo built for the Queen of the baddies herself. Let the record show that Rihanna was the originator of the off-the-shoulder oversized denim jacket trend. 2015: Only @badgalriri could pull off a Marques Almeida longline lilac fur coat in the California desert. I understand and personally identify with her year-round love affair with statement coats. 2012: I obsessed over this look and more specifically this vintage Chanel bomber when I first saw this outfit on Rihanna. I bought the Topshop sports bra, D.I.Y'd my own The Ragged Priest inspired studded shorts, and helplessly pined over the jacket. It must have been around this time when I began my longwinded worship (and lowkey imitation) of everything @badgalriri wears.